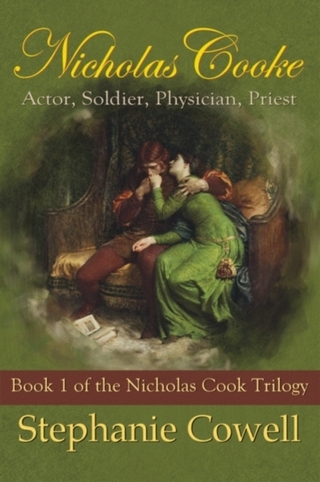 NICHOLAS COOKE will soon be an e-book, expected publication end August 2012. NICHOLAS COOKE tells the story of a hotheaded, brilliant young man who becomes an actor with the Shakespeare theater troupe in 1593. Though constantly in trouble, he passionately wants to be a priest,an astronomer and a physician. THE PHYSICIAN OF LONDON continues his story in his middle years when as a royalist under Charles I, he finds himself involved in the English Civil War. The third book of the trilogy, IN THE CHAMBERS OF THE KING, is presently in revision; in it, Nicholas returns to Puritan England as an old man to try to bring back the King and the world he has lost. The first two volumes were published by W.W. Norton; the first was a History Book Club choice and the second was a recipient of an American Book Award.